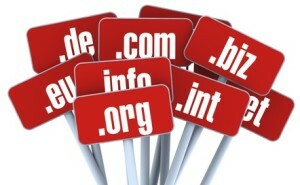 Domains are born in order to remember easier access to a website on the Internet. Domains are the names that are associated with IP addresses (numeric addresses of a website) on the Internet. Necessary for the protection of your trademark on the Internet through its registration and surveillance around the world. Domain name together with trademarks and patents constitutes an increasingly important part of the assets of an enterprise or entrepreneurship. Advise on measures to be taken to the recovery of your domain name. Among the various possibilities are: WIPO Arbitration, recovery of domains by administrative, judicial actions relating to domain names, shipping requirements for a proper transfer of the domain, intervention in negotiations for a possible purchase of the domain and elaboration of contracts both your assignment. We also perform renovations, transfers of ownership, and all processing is performed to NIC Argentina. Both locally and internationally will take care of the formalities of ownership of domains, with extensive experience in this type of management.